CLICK TO SUPPORT GLBN TODAY: BREWERIES AND BEER BUSINESSES...CLICK HERE! A response to the Los Testigos de Cerveza parody has been posted to the Great Lakes Brewing News Facebook page. Please read! 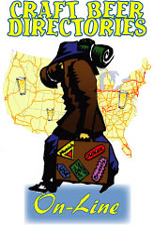 brew on premise and homebrew supply shops, good beer bars and good beer stores across the Great Lakes region. DISCLAIMER: This publication is not affiliated with ot endorsed by the Great Lakes Brewing Co. of Cleveland, Ohio nor Great Lakes Brewing Company of Etobicoke, Ontario.Opinions in this newspaper are those of the publisher and/or writers. All material © by Great Lakes Brewing News, Buffalo, New York, unless otherwise noted.